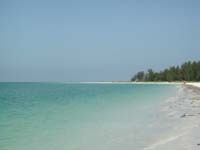 The Gulf Beaches in Pinellas County are renowned world-wide for its stretches of finest sandy beaches with clean water and a variety of sea life. This perfect combination attracts tourists from all over the nation, Canada, Great Britain, Germany, South America and other areas. Many learned to love their vacation destinations and decide to move seasonal or permanently to the area. 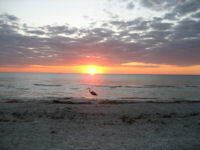 Florida-Online-Realty is familiar with the beach areas. Let us know, what you are looking for and we will do our best to find it for you. Pete Beach offers a variety of housing as well as a lot of timeshares and hotels with its signature hotel Don Cesar and Beach resorts like the Tradewinds. Single family houses in St. Pete Beach are mostly located at the bay side and often have private boat docks. A very popular development with resort style living is Isla del Sol. Its proximity to Tierra Verde, Fort de Soto Park and the Gulf Beaches makes it very desirable for people looking for a vacation home, a second home or a place to retire. Its easy commute to Tampa makes Isla del Sol also very popular for professionals looking for a relaxed waterfront lifestyle. Isla del Sol consists of a variety of different condominium buildings in a resort environment that offers a million dollar clubhouse, country style living with several pools, tennis facilities and a golf course. The condos on Isla are still comparatively low priced. Treasure Island offers a variety of condos, townhouses, single family homes and hotels. In some parts Treasure Island is undergoing changes, more and more small beach cottages are making room for larger, stately homes. Residents of Treasure Island enjoy the wonderful waterfront living beach- and bayside. In Indian Shores, Redington Shores, and Indian Rocks Beach you find nice individual restaurants, not just chains and hotel restaurants. Here you find few hotels, mainly condos along the beach and across the street. Christian and Renate Bellingrath are familiar with the beach areas of Tampa Bay since 1975. We will gladly assist you with all your real estate needs.